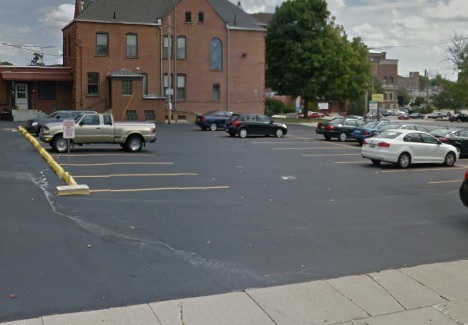 Businesses in Bloomington, Illinois know that their parking lot is the first impression that they can provide for their customers. This is why business owners always contact Perdue Pavement Solutions for their Bloomington asphalt contractor needs. We are a family owned and operated business that has over fifteen years of experience and training. We provide a wide variety of asphalt maintenance services to meet the needs of our Illinois customers. We stand behind our work by providing our customers with a 100% customer satisfaction guarantee. Call us today to discuss an annual maintenance plan, and we’ll be happy to evaluate your lot and provide an estimate and routine plan. Bloomington is the twelfth most populated city in the state of Illinois with a population of 76,610. The first settlers to the area occurred in the early 1820’s. The city is approximately 125 miles from Chicago. There are many exciting things to see and do in this city. Do you love beer nuts? Have you ever wondered where beer nuts originated from? Bloomington is the only place worldwide where beer nuts are made. It’s a great place to visit for snack enthusiasts. The McLean County Museum of History is where visitors can learn about the history of this city. The museum has five permanent exhibits, two rotating galleries, and more than 20,000 artifacts that date back to the 1800’s history of this city. The David Davis Mansion tour is a must-see when you come to this city. He was a U.S. Supreme Court Associate who helped convince Abraham Lincoln to run for president. Everyone must go on the tour and step back in time at this location. The Miller Park Zoo is a small zoo in the city that has a variety of animals. The entire family will enjoy spending the day at this zoo. If you are searching for antiques or unique collector items, then you will want to go to the 3rd Sunday Market located in downtown. There are thousands of antique, items, and crafts that you can pick up. The 3rd Sunday Market is open from May through October every Sunday and is a great way to mingle with the residents and purchase unique items. Visitors that are looking to have a sandwich or salad can go to Kelly’s Bakery & Café that is located in downtown. They serve fresh and delicious bakery items each day. This city has many things to see and do. If you are planning a trip to this city, then you will want to make sure that you stay an extra day or more, so you can truly take in all that is offered here. Perdue Pavement Solutions is the asphalt contractor that businesses can depend on. Contact us today and let us inspect your parking lot. We got a call from a client that we had helped with crack sealing about three years ago. They just needed a regular maintenance and wanted a full treatment for sealcoating in Bloomington for their parking lot. We came out to check out their parking lot, and it was in pretty nice condition. We thoroughly checked out the lot and saw that there were a couple of cracks, but the foundation and surface were in good condition. We gave the client the estimate, and he told us we could start anytime. We let him know that we would return the following morning to start his parking lot sealcoating and maintenance. Bright and early the following morning our crew arrived at the business. It looked like it was going to be a perfect day for working on parking lots because there wasn’t a cloud in the sky, the sun was shining, and the temperature wasn’t too hot. The crew first started cleaning the parking lot thoroughly. The crew used a commercial blower that removed all the dirt, debris, and dust from the lot, then the crew washed down the lot to remove any gas, oil, or chemicals that may have been on the surface. Once the lot was completely dry, the crew filled a couple of the cracks, then started applying the sealcoating. At the end of the day, the parking lot sealcoating was completed. We let the client know that we had to fill a couple of cracks, but from there it was a very routine job. The client really seems to enjoy working with us! He let us know that he would never have any other paving contractor touch his parking lot. Apparently after we had finished the initial work years ago it had never looked so good. The customer told us that this time around it looked even better! Our crew did let him know that his parking stripes were starting to fade out and they could use new striping applied, which would add safety for his customers that were coming to his business. 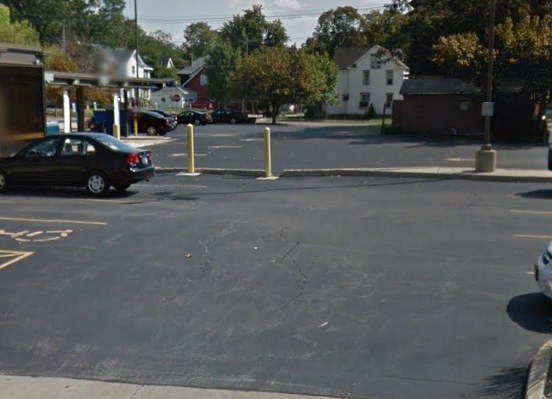 The client agreed and asked us to return in a couple days because the next day was one of his busiest days, and he didn’t want his customers to be inconvenienced by the work being done on his parking lot. we agreed and completed that simple task for him as well. This return client keeps coming back for our outstanding parking lot maintenance services. Our crew goes that extra mile to ensure that all needs and preferences are met by the client and the asphalt, which is why Perdue Pavement Solutions is the experts to contact for asphalt repairs.